Financial crisis – How to reduce the risk of this? 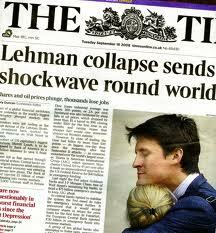 Since the collapse of Lehman Brothers in 2008, the global economy has been reeling. The financial crisis has resulted in loss of jobs and personal savings, and huge damage to business confidence. Ensuing bank bailouts have been seen as ‘socialism for the rich’. They have contributed to heavy debt burden for many countries, and the austerity measures have cut public sector employment and services. Many politicians argue that the answer to our financial crisis is economic growth: get more businesses making profits then we will have more employment and more tax revenues to spend on the police, health care and schools. One difficulty with this approach is that the higher the level of inequality, the less impact economic growth has in reducing poverty. Another difficulty is that to get greater growth some want to encourage the profit motive and reduce regulation by government. But it is precisely the failures of international financial regulation that had led directly to the crisis. David McNair (Christian Aid) has pointed out that banks had sought out those countries that allowed them most freedom to borrow against their assets. Once asset prices fell, problems of repaying the underlying borrowing were felt (and continue to be felt) across the global financial system. For example the US bank Bear Stearns, in Ireland, which was an early casualty, had a ratio of assets to equity capital of nearly 112:1. This compares to a standard maximum of about 8:1. No wonder a recent report published by St Paul’s Institute found that a majority of city of London workers think deregulation contributes to declining ethical standards. Another example of the unethical effects of deregulation is that of US legislation to allow institutional investors access to commodity markets. Supply and demand ceased to drive food prices, sending inappropriate signals to producers, and prices came to be dominated by broader financial market dynamics. A report from the High Pay Commission finds that since 1980, UK executive’s salaries have risen 13 times the rate of ordinary workers. It is easy to demonize bankers and top executives. They may be greedy for more wealth, deceptively bend the law for their own advantage, and cover up the risks they take with their customers’ money. However I would like to ask whether it is possible for the rest of us to work together more effectively to try to prevent financial crisis by creating healthier conditions in which financiers and businesses operate: conditions that are conducive to preventing similar economic crises and the reduction of poverty. If you are a shareholder is there no opportunity in communicating with others to campaign against the way top corporate salaries are fixed? PM David Cameron has promised company shareholders a binding vote on executive pay, in an effort to deal with excessive salaries. The more that those at the top award themselves, on remuneration committees, then the less that is available for the workers at the bottom of the pile. The individual cannot influence global policies, but when democratic voters work together have they no chance to influence politicians to bring in a more ethical financial policy? It is possible for more teeth to be given to laws enforcing corporate transparency enabling the monitoring of excessive risk taking by bankers. What about tax avoidance? It seems it is now common for buyers at the top end of the housing market to dodge stamp duty by transferring ownership to offshore companies. Perfectly legal, but it hammers the Treasury as much as £1bn a year. Could policies be introduced to deal with tax havens so that money that had been lost to government could be used for the public good? Closer scrutiny of the working of the Inland Revenue and regulating bodies might be useful to prevent the risk of their ineffectiveness and even potential corruption by powerful commercial interests. If you are a member of a charity is there no possibility of working within it to publicize the need for ethical financial policies? Changes in local as well as central government could redress the social inequalities either at home or abroad. For example the Jubilee Debt Campaign movement, secured billions of dollars of debt relief for poor countries offsetting tax abuse that reduces their income. What I’m trying to say is that as long as we all do little, there will always be individuals who will take advantage of the system to line their own pockets. Okay, the poor will also always be with us, but can we not do a bit more to help them? Previous Previous post: Did Swedenborg have universal consciousness? Next Next post: Will we meet in heaven – my partner and I?